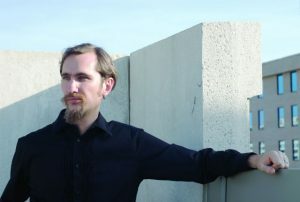 Eliot Bates is an ethnomusicologist and recording engineer with a special interest in the social studies of technology. His research examines recording production and the social lives of musical instruments and studio recording technologies. A graduate of UC Berkeley (2008) and ACLS New Faculty Fellow (2010), he is currently an Assistant Professor of Ethnomusicology at the Graduate Center at the City University of New York. He has also taught at the University of Birmingham (UK), Cornell University, and the University of Maryland, College Park. He is currently the Vice-President of the Society for Asian Music, and formerly served on the Board of the Society for Ethnomusicology. He has written two books: Digital Tradition: Arrangement and Labor in Istanbul’s Recording Studio Culture (Oxford University Press, 2016), and Music in Turkey: Experiencing Music, Expressing Culture (Oxford University Press, 2011)—and, with Samantha Bennett, co-edited Critical Approaches to the Production of Music and Sound (Bloomsbury Academic, 2018). He is also a performer and recording artist of the 11-stringed oud.